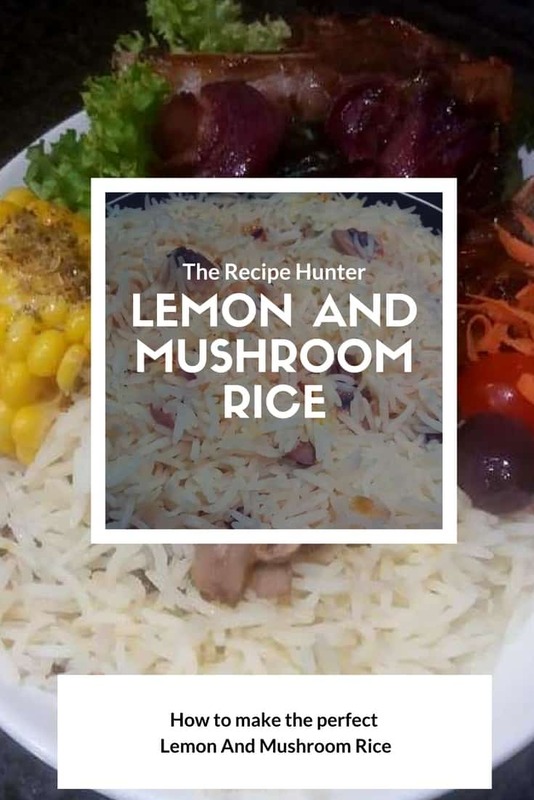 How to make the perfect lemon and mushroom rice! 1 cup basmati rice cooked in salt water and 1 teaspoon spice for rice. Braise 1 red onion in avocado oil. Add 2 cloves fresh crushed garlic. Use yellow part not white as it will taste bitter.